“And we made it to 11:24 until somebody asked, ‘how do we define coworking?’ .” That was a tweet by yours truly at Coworking Europe 2017 in Dublin, Ireland. The question-asker was my friend Stéphanie Brisson from Techspace, and it wasn’t my intention to poke fun at her with this tweet. Actually, I began the tradition of tweeting this question’s time of arrival as a way of pointing out the obvious. In truth, none of us know how to define coworking, so much so, that it comes up in the first session or panel discussion at every coworking conference. Seriously, pay attention next time you attend one. In this article, I want to explore what coworking really is and then offer an alternative model for further differentiating spaces within the ecosystem. I hope that this will allow us to continue this conversation more constructively and that I’ll never have to tweet the words “how do we define coworking” ever again. Coworking is a methodology whereby people and/or groups of people work alongside one another, but not for the same organization or on the same project. Why doesn’t my definition include all the typical tropes we hear within the coworking sphere, things like community, collaboration, open space, inclusivity, etcetera? Because all of those things are symptoms or types of coworking, but none of those things are coworking itself. What’s more, we need a simple baseline with which to start the conversation of what coworking actually is. So it’s time we got rigid with our definition. Think about the restaurant industry, as which we often use as an analogy for the coworking definition problem (BTW we owe Alex Hillman for that idea). Whereas a restaurant is a place where various people go to consume food that is not prepared by the people who eat it, it is clear that the inclusion of what food type, restaurant style, or the restaurant’s price are entirely nonessential to the definition of a restaurant. With this logic, we can see that a place where people go to eat and must prepare their own food is by definition, not a restaurant. By that same token, coworking doesn’t require an enclosed space, nor does it need wifi. It merely requires a group of people working alongside each other, so long as not all of them working for the same company or on the same project. Coworking can happen on the moon or the internet. It can happen with industrial parts or laptops. So long as it conforms to the definition, it is coworking. That means that the tech startup with a hip open office plan it shares only with its own employees and partners is not coworking. However, it also means, and I’m sorry to burst so many people’s bubbles here, that WeWork totally is a coworking space. Moreover, Regus absolutely has a coworking component at many of its locations. It might piss you off that they have way more money than you do and that they don’t have the same values you do, but you can’t reasonably claim they aren’t coworking spaces or, at the very least, spaces with coworking areas. I speak for many when I say we’re all tired of the this-is-coworking-and-that-is-not soapbox. So let’s get over it. Let’s move on. Going forward, it would be much better for members and operators alike if we could identify spaces in a more meaningful way. Perhaps a code of sorts. Hmmmm. Yes, I like that. In fact, the real estate industry already has codes for zoning purposes, so perhaps we can mold the concept to our goals. For example, we might use R1 for a single-family residential home. Hence the “R” for residential. However, C3 might be high-density commercial space such as an office highrise. For example, a so-called coworking space that focuses on a niche, that is exclusive, has a professional vibe, and is quite small could be NEPS. On the other hand, a space that doesn’t focus on a niche (general), is inclusive, has a casual vibe, and is very large, could be GICL. The advantages to codifying coworking spaces are straightforward. This approach will create a better end-user understanding of a space’s approach to flexible workspace. The codes will allow at-a-glance information gleaning of a brand’s values and structure, as opposed to needing to sign up and find out after it’s too late. The codes would be filterable on coworking directories, allowing potential members or day pass users to sift through the dozens or hundreds of coworking spaces. That will enable them to narrow down their choices more quickly, and reduce friction for becoming a coworking member. 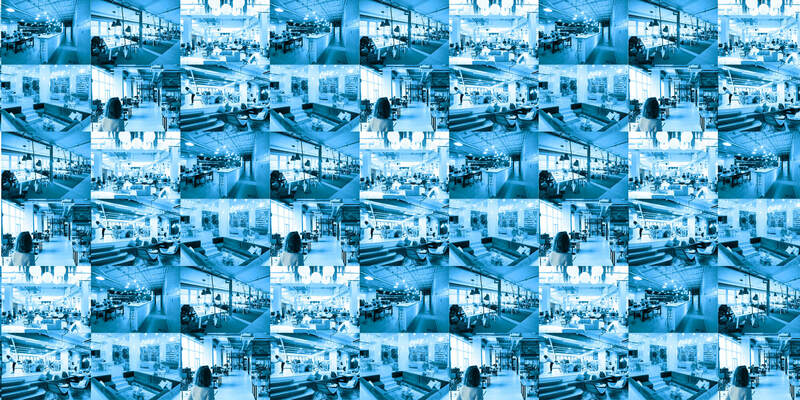 Whereas many so-called coworking spaces have called themselves such as a potentially deceptive marketing tactic, the new code system provides no advantage to those who would misrepresent themselves. That is because the terms are neutral. Being small, medium or large doesn’t matter much to members as a population. Nor does inclusivity or exclusivity. The market of potential coworkers is indifferent at the population level because there’s a type or style of coworking for everybody. I’ve put together a few extra possibilities for the coding system or extensions of it. These might be a bit overkill, but worth considering. I’ll begin to experiment with this methodology over the coming months to see if I can reasonably codify and differentiate spaces around the world. I think it would be interesting to have some back and forth on this idea, and possibly talk about it at one of the upcoming coworking conferences. So tell me, what do you think about this idea? What criticisms do you have of it? Which attributes should we include that aren’t present? Which aren’t important at all? • ‘URBAN vs RURAL’ – recently I had a discussion about this urban-rural-issue with a host of a coworking space not feeling to be rural, but it is also not a really urban location.. Can I haz three choices? Some really interesting thoughts, Doris. I agree with the size idea. I like using members as a baseline though because a space could be huge but only have 15 members, which is likely not what a prospect is expecting. I don’t think prospective members care as much about square meters as they do the number of other people. But this could be a reason to list both. Yes you can haz three choices. 😀 What would the third be though? Suburban maybe? I like your third point. This would be owner-operated vs staffed? But here there is also a mix. A great one though as this definitely changes the vibe of the space. Entities doing business with coworking spaces always deliberate on what classification of theirs we fall under. BNI (Business Network International) originally plugged me into Real Estate, and moved me to Office Services at my request. Insurance Carriers have no idea what to do with us! I land squarely in their special risk category because of that. It would be super beneficial for the corporate world to embrace us and any classification system adopted. Very good point Paula! It’s happening. The corporate world and CREs are tuned into what’s happening with flexible workspace and they are jumping on board in a big way. Hopefully, your insurance problem will be solved soon as well!